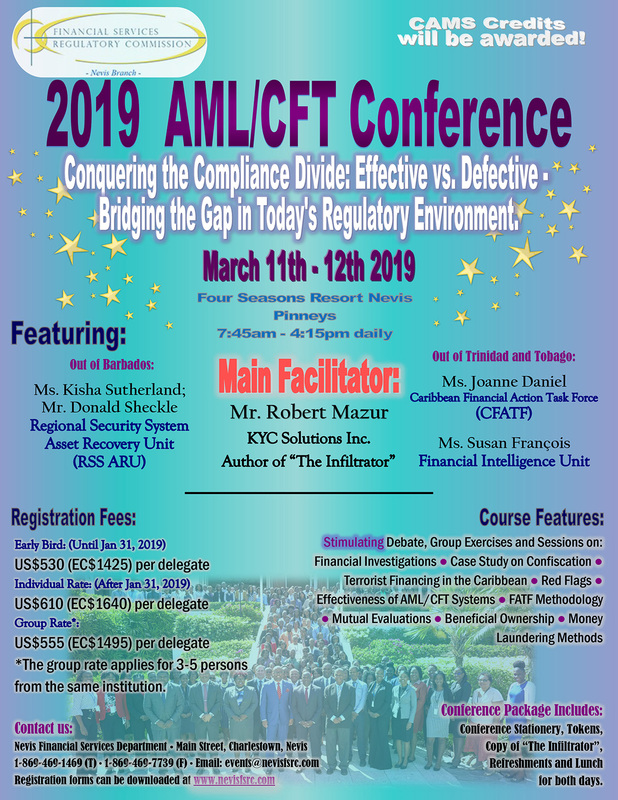 REGISTRATION IS NOW CLOSED FOR THE 14TH ANNUAL AML/CFT CONFERENCE! THANK YOU FOR REGISTERING! ROBERT MAZUR, PRESIDENT - KYC SOLUTIONS, INC. This Masterclass is presented in two sessions by New York Times bestselling author Robert Mazur. He shares in-depth knowledge about money laundering methods and rarely detected red-flags that can unmask the most sophisticated laundering techniques. He expounds on events featured in his book, The Infiltrator, and demonstrates how the secrets shared with him by the world’s sleaziest bankers and most powerful organized crime figures breathe life into many of today’s highest profile money laundering scandals. These two sessions leave no doubt why Hollywood embraced Mazur’s experiences as the basis for the internationally released film by the same name, starring Bryan Cranston. Mazur shares his real-life experience as an underworld money launderer. He provides detail about how he infiltrated Pablo Escobar’s Medellin Cartel and a complicit international bank as a money broker. This session includes discussion about current day techniques used to launder money around the world. Mazur exposes techniques and jurisdictions most often used to block transparency (e.g. techniques seen in The Panama Papers).